If you’ve kept up with the latest beauty news then you know that Korean beauty a.k.a K-Beauty has become a new market favourite. Their quirky but phenomenal products are revolutionising the market and I am in full support of it. 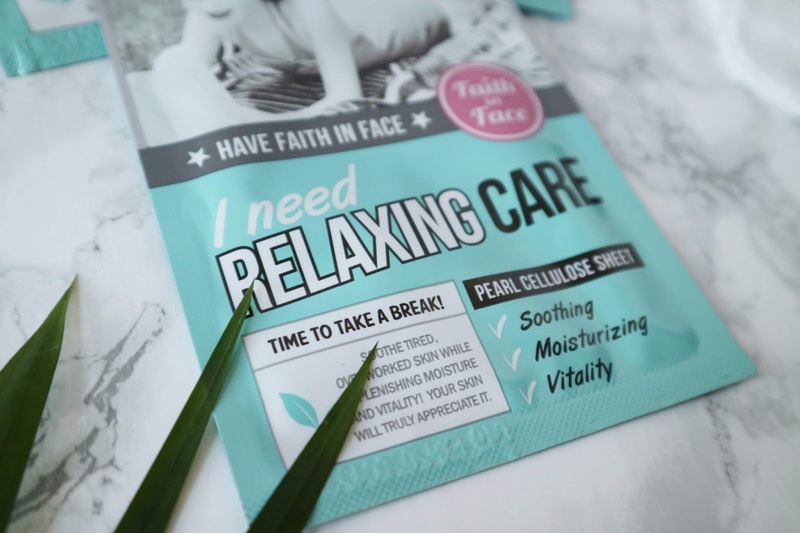 One of my favourite Korean beauty products is the Faith in Face, I Need Relaxing Care pearl cellulose sheet mask. As far as sheet masks go, this is the most hydrating mask I have ever tried. When you take the folded sheet out of the packet, it is dripping in serum. It took me by surprise the first time I used it as I juggled with it my hands. The serum was easily and quickly absorbed by my skin, leaving it with a much-needed burst of hydration. The pack recommends that you leave it one for 15-20 minutes. It's longer than most masks but sitting down and not doing much for that time with a cooling mask on your face is seriously one of the most relaxing activities. 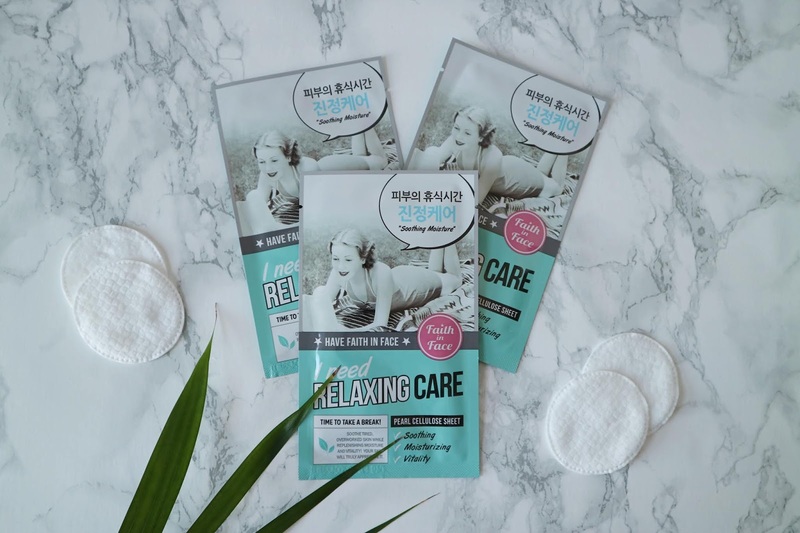 K-beauty is impressing everyone and it's obvious as to why. Not only do they have quirky packaging but they're selling quality products and adding fun back into beauty. I've only had a snippet of k-beauty and I'm excited to try what's next. I've only been able to find these masks in person in TK Maxx but I have found them available on Amazon. So if you want to check them out, click here.